Cruise lines have made changes to itineraries to avoid the affected Eastern Caribbean Islands damaged in the recent hurricanes. Many new ports of call in the Western Caribbean have been added. With all the news in September about the hurricanes that hit the Eastern Caribbean you may be wondering what is happening with the cruise lines. Hurricane Irma and Maria avoided the Western Caribbean entirely, which includes Mexican ports of call and Belize as well as the Southern Caribbean (Aruba, Bonaire, Curacao). The Bahamas was also unaffected. Cuban ports of call are all open and operating. 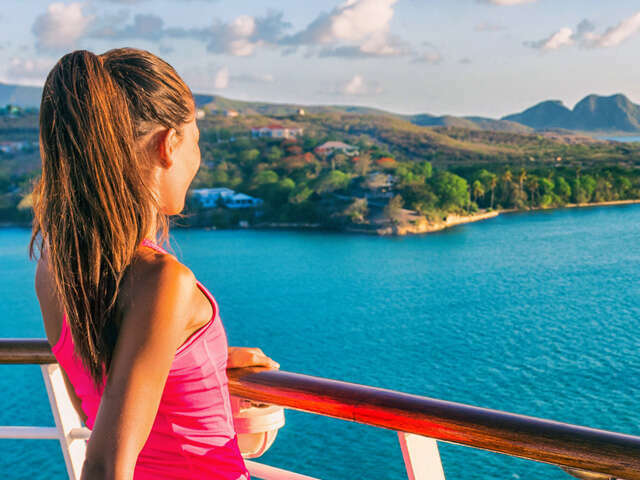 Virtually all cruise lines have already made changes in their ports of call to avoid the affected islands in the Eastern Caribbean, substituting alternative ports like Jamaica (Ocho Rios, Falmouth and Montego Bay), Grand Cayman, Roatan, and Cozumel among others. Several Eastern Caribbean islands remain open including St. Kitts, Barbados, St. Lucia, Grenada and Antigua. Most cruise lines operate their own private islands as a port of call, which are also unaffected. The Florida Keys are open for business and recently announced a $1 Million advertising campaign to let visitors know it has reopened. Some cruise lines have already called on Key West, FL. Closed ports include those in Turks & Caicos, Puerto Rico, Guadeloupe and Anguilla. Severely damaged ports in the Domincan Republic, St. Maarten, St. Thomas and St. John USVI, and BVI Island in Tortola, St. Barts and Barbuda will take longer to re-open. Each cruise line will vary in terms of itinerary changes, so please contact us for the latest information and with any questions.